Being caught red-handed has a much bloodier meaning than you think. A good rule of thumb? Don’t fly off the handle … or you may lose your head. 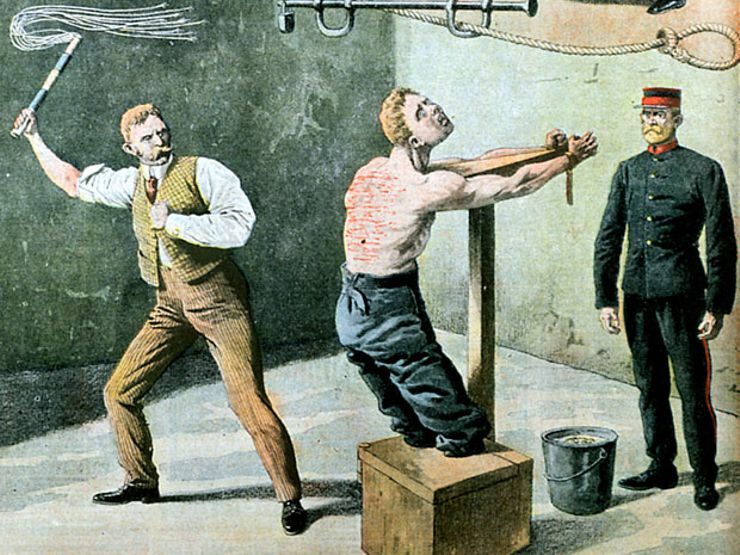 From flesh-eating felines to paying through the nose with blood, the disturbing origins of these everyday phrases are sure to send a chill down your spine. If you think paying through the nose is unappealing now, you would have hated it in 9th-century Ireland when the Danes conquered the Irish. Danish forces imposed a census poll tax during their reign, and refusal to pay came with a steep price: Collectors would slit one’s nose from tip to eyebrow. Got a cold? Your hoarse voice may make it sound like you’ve got a frog in your throat. In the Middle Ages, however, you’d have one in there for real. Healers sometimes treated infections like thrush by putting an amphibian into a patient’s mouth—it was thought that the slimy creature would absorb the infection into its own body. Today, when something’s “gone to pot” it’s fallen apart. But when it first surfaced in the 16th century, the phrase referred to what was going into the vessel; namely, freshly harvested meat and vegetables. A far grislier theory, however, suggests it refers to those who were boiled alive as punishment—or individuals who fell victim to cannibals. If you were caught red-handed in Scotland in the 15th century, you were caught with blood on your hands, likely right after a murder or after butchering another person’s livestock. There are two popular theories behind the origin of this phrase, and both sound painful. Some say the “cat” is a reference to a cat-o-nine-tails whip used by everyone from prison wardens to English naval officers—a flogging with one was so painful that you wouldn’t be able to talk after your punishment. But a flogging seems downright pleasant when compared to the punishment for blasphemy in medieval times: having your tongue cut out and fed to cats. Flying off the handle is an embarrassing habit. But back in the day, it was downright deadly. The handle in question was an axe handle. As for the flying? Well, that was in reference to a poorly fastened axe head prone to flying off its handle—especially when a woodcutter got a little too vigorous with the woodcutting. Often mistakenly attributed to the Hatter character in Lewis Carroll’s Alice’s Adventures in Wonderland, this phrase actually goes all the way back to the 17th and 18th centuries. 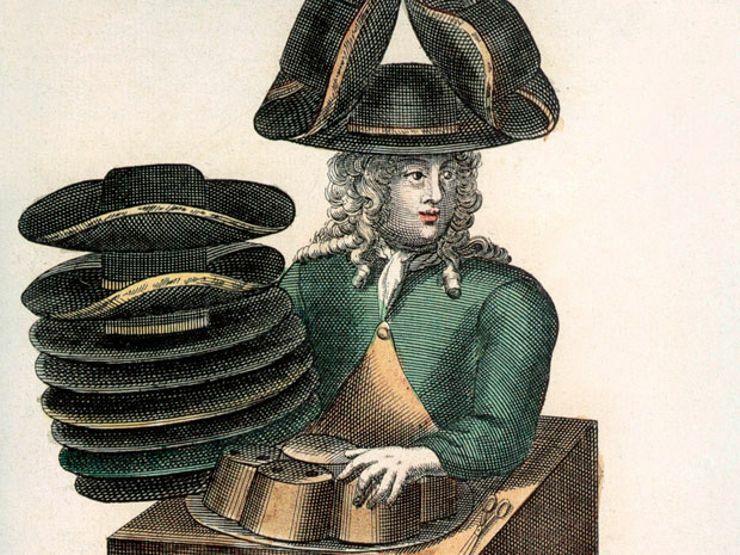 Hat makers often used mercury in hat felt during this period, developing mercury poisoning and symptoms like slurred speech, tremors, and hallucinations. It’s not just your favorite ’90s sitcom. Rumor has it that the etymology of this phrase comes from safety coffins patented during the 18th and 19th centuries. The coffins were outfitted with a cord that led to a bell above ground, making it easy for anyone accidentally buried alive to alert graveyard workers. 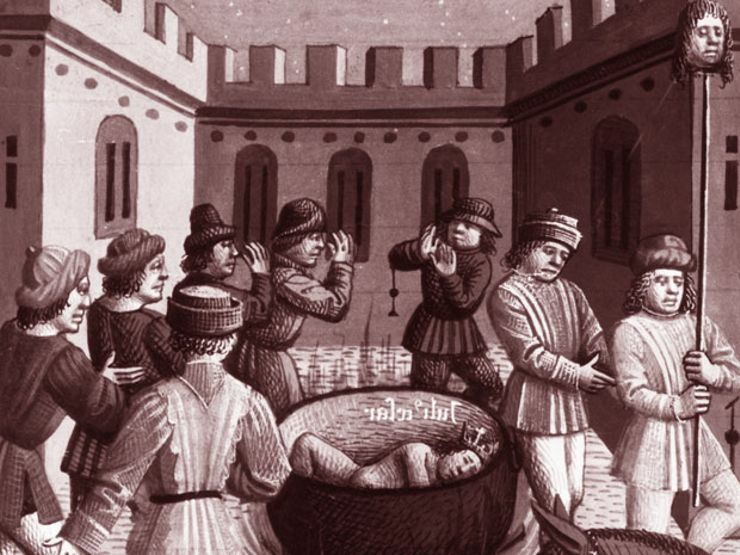 If you were raked over the coals in the Middle Ages, you were being accused of witchcraft. If you survived having your body dragged over red-hot coals, congratulations—you’re innocent!